New reviews and blog shares for Twenty Years: After "I Do"
Appreciation, Blogshare, D.G. Kaye books, Gift ideas, Guest Post, Inspirational reads, Memoir writing, promoting, Reading, Relationships, That's Life, THOUGHTS, Twenty Years: After "I Do"
I want to thank the so many of you who kindly reblogged and shared the news of my newest book since my last post of thanks. Just to name a few: Adele Marie Park, Annette Rochelle Aben, Jane Sturgeon, Stevie Turner, Christoph Fischer Sue Vincent, Sherri Mathews, Marjorie Mallon, Jaye Marie and if I’ve missed anyone’s reblog, please accept my sincere thank you. 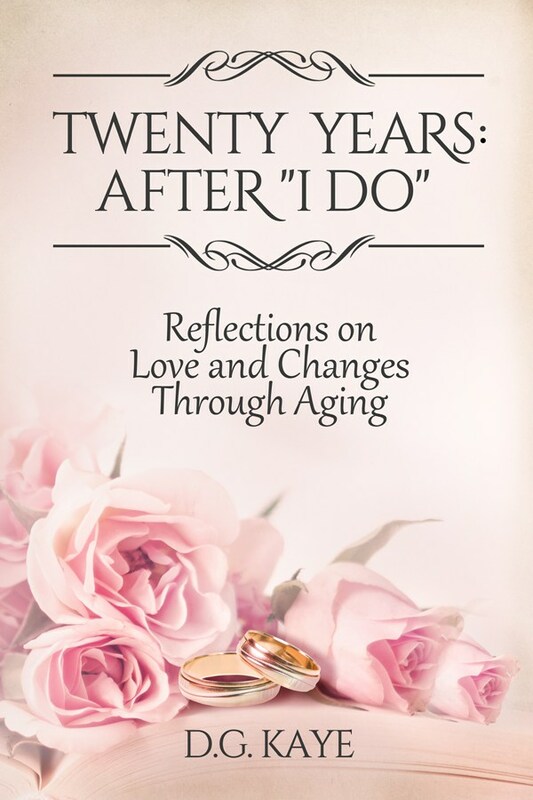 Besides the beautiful blog post shares I came across, there were also a few new blog promos written and two new reviews posted by a few other wonderful writers that shared a post of their own to acknowledge the launch of my new book, Twenty Years: After “I Do”. And instead of reblogging them each day separately, I’ve decided to compile snippets from each of these wonderful posts into one post and hope you will continue reading directly on to their blogs. I am always enthusiastic about reading a book by D.G. Kaye. I have read all of her books so far and have enjoyed them all. Her May/December memoir Twenty Years: After “I Do” doesn’t disappoint. In fact, it’s probably her best, which is normal I guess. We do tend to get better with practice. Although Twenty Years: After “I Do” focuses on growing old with a partner who is much older than herself, D.G. Kaye’s message is ageless as she tackles the issues of health, finance, mortality and children with clarity, authenticity and her usual grace. D.G. Kaye is known for her ability to tell it like it is. There’s no sugar coating here although there is a lot of tenderness, affection, kind heartedness and insight drawn from her life experiences – sharing her life experiences to offer a helping hand is D.G. Kaye’s trademark. Much of her blog is about that and this munificence is evident throughout this book. The book is an easy and enjoyable read. But make no mistake; it is by no means frivolous or meaningless. Continue reading . . .
We welcome our friend and fellow writer D.G. Kaye to Views from Eagle Peak today. She’s here to tell us about her newest book, Twenty Years: After “I Do”: Reflections on Love and Aging. It’s on my list to read in 2018—I am so looking forward to it! 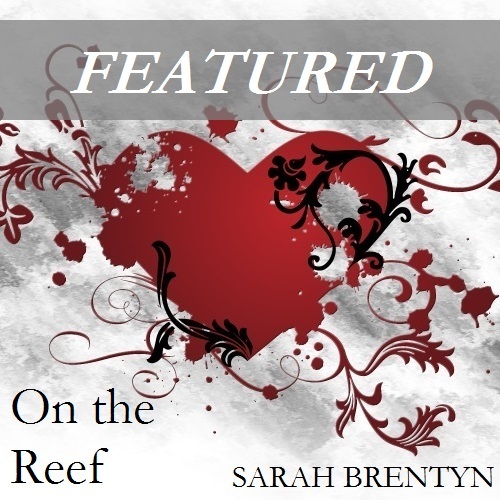 Along with her reason for writing this book, she offers an excerpt on mortality and a couple blurbs that will make you want to put it on your reading list. Take it away, D.G.! Writing this book was a true labor of love. The book stemmed from little things that popped into my head last year when my husband took ill. I was riding a roller coaster of emotions for much of the year with my husband’s health, and it got me thinking about how much had really changed through the years as his aging was happening well ahead of mine. Continue reading . . . If you follow this blog then you might have gathered that I’m a fan of Debby’s writing. When I spotted this new release I had to grab it right away. The book is very accurately described in the long title: It is a reflection on one specific relationship that lasted over 20 years with many challenges, which mostly stem from an age gap and health issues. This book touched me especially since I recently got married and – like the author – live with a long – term partner with many health issues. What Kaye does with bravour is opening up about the problems encountered and how she and her partner have mastered them. Sensitive, humorous and with plenty of heart-felt love for her partner the book addresses important specific and general relationship issues. I think many of us can learn from Debby, admire her choices and identify with the moments where she admittedly struggled. Above all this, the book is a wonderful homage to her husband, a love story, triumph of love over obstacles and a lovely anniversary gift to her husband. Having read many of Kaye’s other books I’m pleased I found this memoir that uncovered some unknown or lesser known aspects of her life as writer and wife. I’m sure this will find a large audience as the relationship advice given is relevant for other couples, too. Thanks for sharing these wonderful reflections and insights. Reviews and SharesTwenty Years: After "I Do"
Many congratulations, Debby! Great reviews all round! Way to go! I don’t do the reblog thing often enough (or RT). Congrats on all your wonderful efriends! You are a prime example of good karma, Debby! It’s inspiring to me that you write so much about your life as my aim is to do the same. Keep it up! I will, but first when I’m done, want to revise various bits and submit to magazines. Many congrats on your reviews and thanks for sharing! Hope you are getting lot’s of new readers and interest in your books! How fabulous, Debby. Congratulations. Your book really does deserve being shared around. Thanks for the mention – just started reading ‘Twenty Years: After “I Do” today! Aren’t we being spoiled for Christmas, Debby! 🙂 Congrats on all the positive reviews and publicity. Awesome!! !